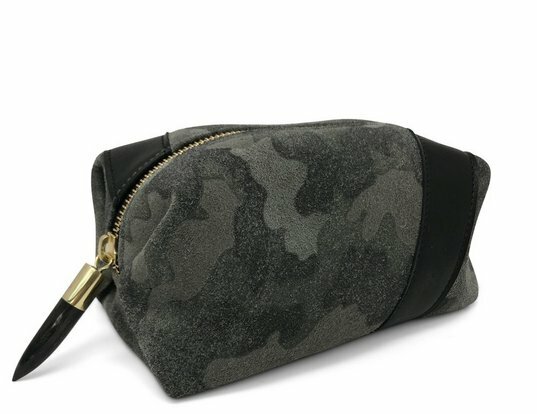 beautifully soft camo-printed suede cosmetic case is the perfect small necessity to make sure you don't overpack for your glam. 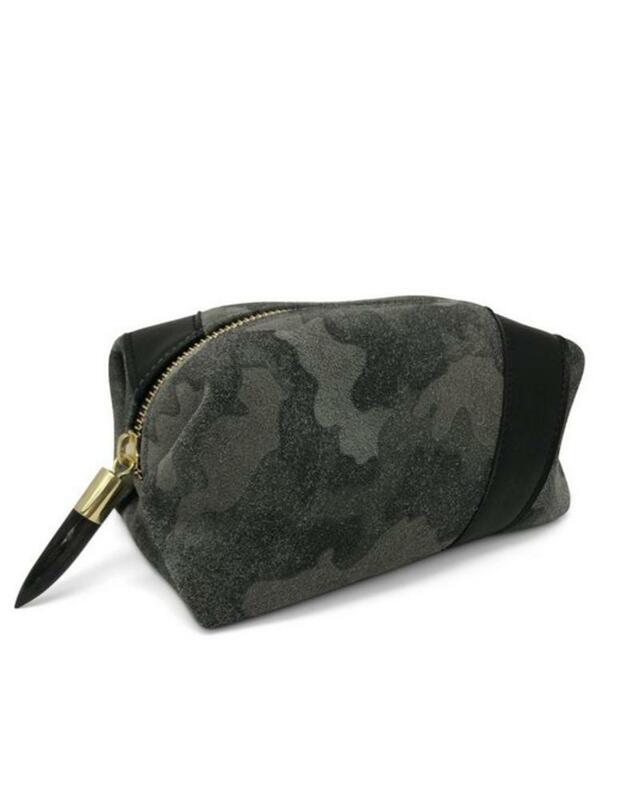 Features a Kenyan Horn Zipper Toggle and a black suede stripe. Bring only the essentials and keep everything in it's place.